This website contains information about the Data Mining, Data Science and Analytics Research conducted in the research team chaired by prof. dr. Bart Baesens and prof. dr. Seppe vanden Broucke at KU Leuven (Belgium). “Data Science Briefings” is the essential guide for data scientists and data-driven practitioners to keep up to date with the latest news and trends on data mining and analytics. Our team has authored an impressive amount of books on topics such as fraud analytics, big data, machine learning, credit risk, programming, and more. In addition, we're glad to offer our researchers' PhD theses available for download for free on this site as well. Optimizing the interactions between you and your customers. credit risk modelling approaches is more than ever needed. Fraud Analytics: Gotcha or Gotch'all? Fraud has become a billion-dollar business that is increasing every year. The emphasis of our research shifts the focus from fraud detection towards fraud prevention. Following flows of data requires appropriate techniques, whether it is a process, a customer journey, or operational logs. If analytics can be used to study customer behavior, it can also be beneficial to better understand your employee behavior. 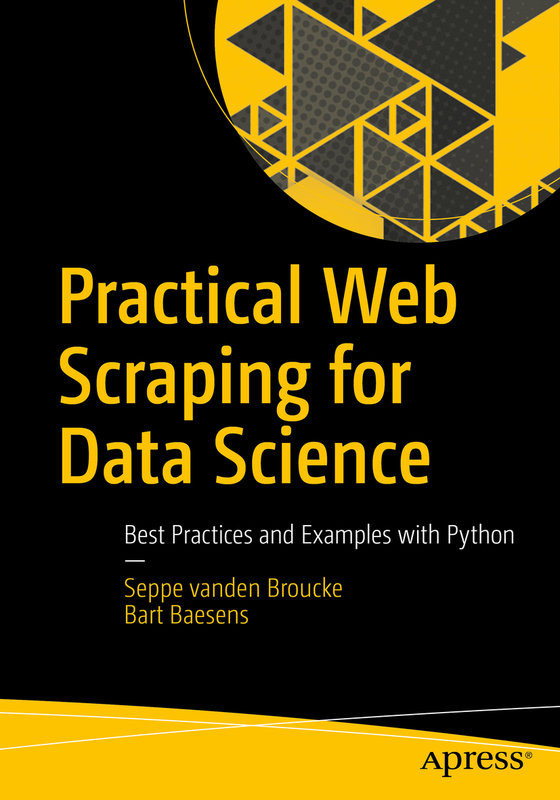 Practical Web Scraping for Data Science -- Our new book on web scraping for data scientists is just released! Check webscrapingfordatascience.com for more information! 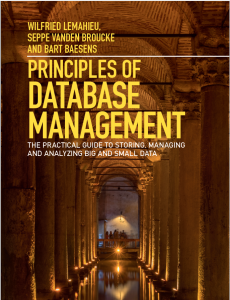 Principles of Database Management: The Practical Guide to Storing, Managing and Analyzing Big and Small Data -- Just released! Check pdbmbook.com for more information! Subscribe to Data Science Briefings today to keep up to date with the latest news and trends in data science, analytics, and our research.